Stuttgart once again proves that it makes some of the best driver's cars ever. Those of us closer to having entered the workforce rather than nearing the point of retirement have some questions for the more mature. 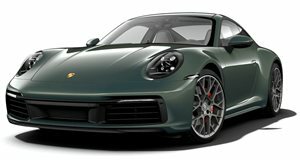 Questions like, why do you wear your pants so high up or why do you all buy Porsche 911s that can hardly be distinguished from one another rather than opt for a flashier but similarly priced McLaren 570S or Audi R8? That’s a question Autocar attempts to answer behind the wheel of the newest Porsche 911 Carrera 4 GTS. In case you haven’t realized it by now, the answer is that the more mature take a much more in-depth look at things and don’t only focus on the head-turning skin-deep looks of a supercar. Like dating in your Golden Years, it’s what’s on the inside that counts, and that mentality seems to drip over into the decision making process behind every supercar purchase. Even though many Porsches look alike and haven’t deviated much from previous generations in terms of styling, the area where these German supercars shine is in the way they drive. It seems as if engineers at Stuttgart focus on making the driver the most efficient processor by delivering clean input and output. That’s why Porsches convey the road to the driver with minimal distillation and then gives them the tools to precisely manipulate 1.5 tons of vehicle without impediment. If the road is a canvas and the driver an artist, the Porsche 911 Carrera 4 GTS seems to be (in Autocar’s opinion) one of the best paint brushes money can buy, even if it isn’t the best looking one.